African Safaris - Where To Go? 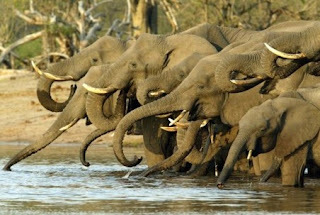 If you have never been on an African safari before, you may be at a loss as to where to go. If you have been on one, you might want to plan on going somewhere different. Not because you didn't enjoy where you went, but because there are so many beautiful things to see in Africa. From snow covered mountains and beautiful waterfalls, to sandy deserts and aquatic reefs, Africa has got it all. Not to mention all the wildlife. Gorilla trekkers, bird watchers and fly-fishermen will all be equally delighted. If you love beautiful landscapes and communities rich in culture, you'll find that, too. East Africa's landscap e includes the spectacular and majestic Mount Kilimanjaro and the famous volcanic Ngorongoro Crater, the largest of its type in the world, which is home to thousands of animals such as Zebra, wildebeest, black rhino, prides of lion including the black-maned males, leopard, cheetah, hyena, elephants, warthog, impala, buffalo, hartebeest, eland and other members of the antelope family. 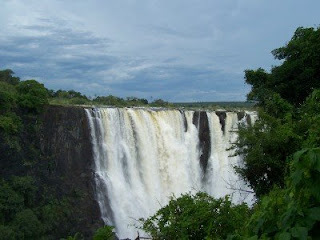 Southern Africa also offers a magnificent scenario for a great safari. South Africa offers an outstanding and rewarding game-viewing experience. Tours here are normally conducted in open 4x4 safari vehicles, giving you greater visibility than a mini-van (commonly used in eastern and central African safaris).